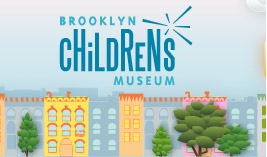 Sign Up at Celebrate Earth at the Brooklyn Children’s Museum! Celebrate the planet we call home! Learn about the amazing plants, animals and people that live here. Participate in activities to keep yourself and the planet healthy and strong. The Central Brooklyn CSA will be having an activity table on Sunday from 10-4, where kids can draw their favorite vegetables. Parents can learn about the CSA, ask questions and sign up in-person! Previous Previous post: Sign Up For A Share at the CDSC Community Health & Wellness Fair! Next Next post: Meet Your Farmer and Sign Up For a Share!